These colors inspired me to create a night scene. I die-cut a starry circle out of Cornflower card stock using the Starry Circle Die-namics to create a perfect stellar backdrop. I stamped the grassy hill on Grout Gray card stock with Cement Gray dye ink and colored all my images with Copic markers, before fussy cutting them. 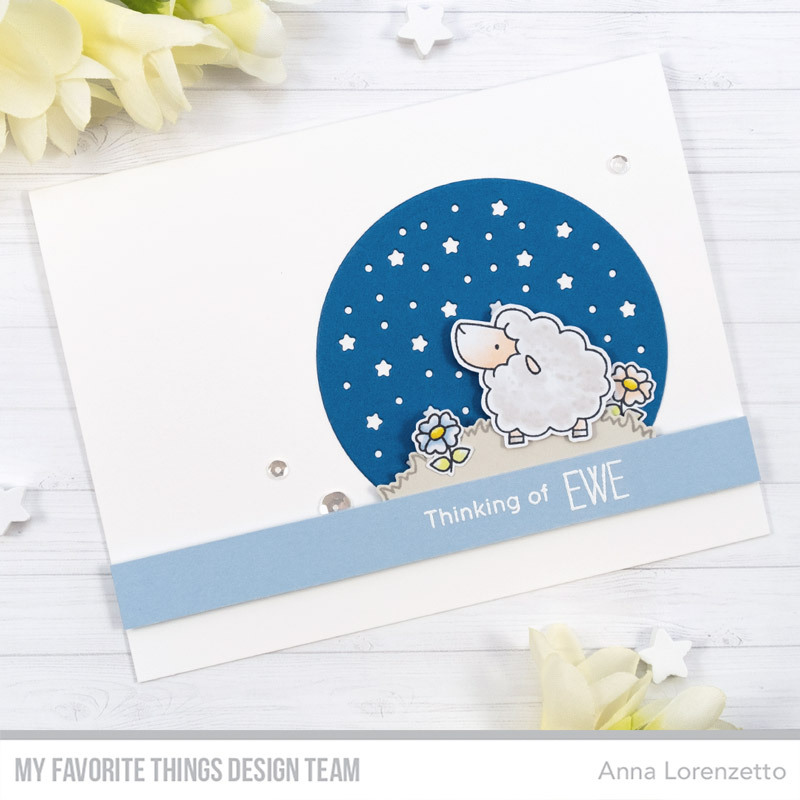 I heat embossed the sentiment in white on a strip of Blue Breeze card stock and mounted all the elements on a card base, adding some sparkling clear sequins as embellishment. Are you ready to play along with us? 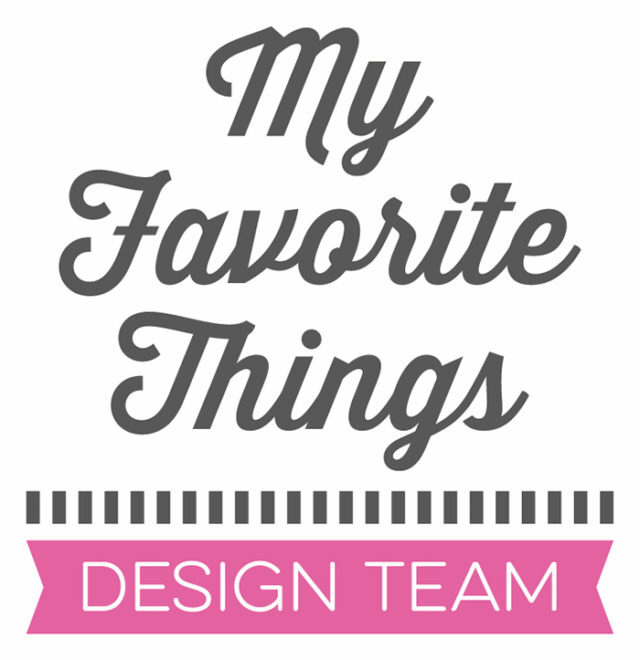 Make sure to check out the MFT Blog for all the details about the challenge and more inspiration from the DT.